Light the path of your next adventure with the LuminAID. A Few hours of charging in the sun can provide up to 8 hrs of LED light. The LuminAID was originally created to help victims of the 2010 earthquake in Haiti. Its makers wanted to create a portable light that could help families during power outages. You can give a helping hand from across the world, by purchasing this light, you can donate to the 'Give light, Get light' initiative. 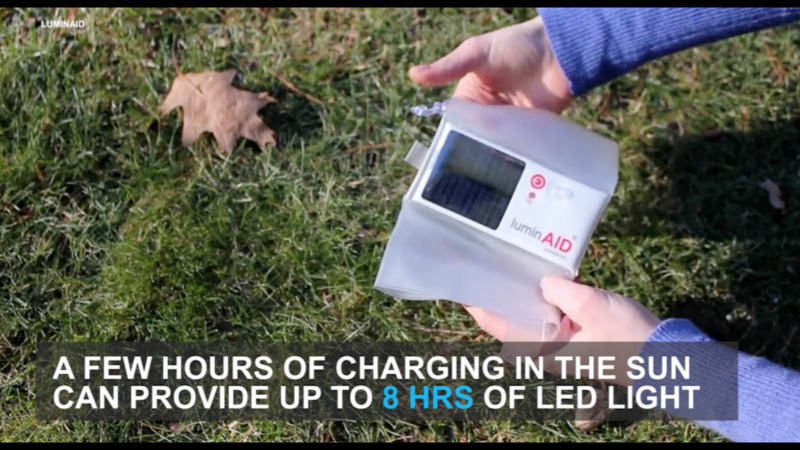 Not only do you get a LuminAID, but a family in need in over 70 countries will receive one too. For less than $20, you can take the LuminAID on your next hiking trip, or store it in case of any emergencies to light your way back to safety.